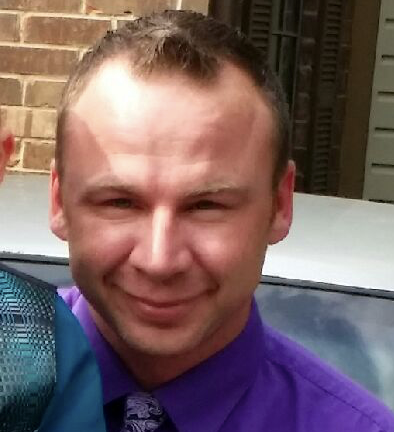 Connie Griffin writes of the loss of her son, Chad S., 39, in Denton County Jail. The jail did not provide Chad with the medicine he was taking for bipolar disorder at the time of his arrest, despite the fact that he had been under recent psychiatric treatment by Denton County MHMR and was under court order in the state of Washington to receive mental health services. He left five suicide notes prior to his preventable suicide. Chad was the father of an eight-year-old son. My son’s name was Chad. He was arrested on December 12, 2014 and incarcerated in the Denton County Jail. He was clean and sober, he was going to AA, but he was fighting mental illness and his mental illness was cyclical. He'd be fine for three months, then plummet. He had his peaks and lows. During his incarceration, his mental health issues went untreated, and his needs for care and medication went unmet. He died in jail of unnatural causes. He was found on March 7, 2015, and had left several suicide notes. The stated cause of his death was suicide by hanging. This occurred while he was in a cell with two other inmates, with supposedly 15-minute checks by guards. When officials and the investigating officer told me details of the incident, they gave me conflicting information. My question and concern is that it was known that my son suffered from mental illness. He had been seeing mental health professionals prior to his incarceration, and to my understanding, he was also on medication. He had a court order to seek mental health, but with his incarceration, he ceased being able to see a mental health professional. This simply set him up as a ticking time bomb. If his condition had been diabetes, his health needs would have been provided for. If he had high blood pressure, or heart disease, or any other health condition, his medical needs would have been met. Why were his mental health needs treated differently, and not met? Why were no precautions taken to at least try to prevent this "suicide" by his own hands (and I question if this was the true cause of death)? Has the system no duty to provide for these health needs? As a mother of an only child, I cannot express the pain and loss I have suffered and will continue to suffer. I now have to raise my 8-year-old grandson, who has been in my custody for over two years. I cannot tell you the pain I saw in this baby's eyes. If I live to be 100, I will never be able to get that sight out of my mind. Read more at the Denton Record Chronicle: "A Cry for Help"